Lector externo de discos duros. -USB 2.0 Data Transfer Rate up to 480Mb/s. 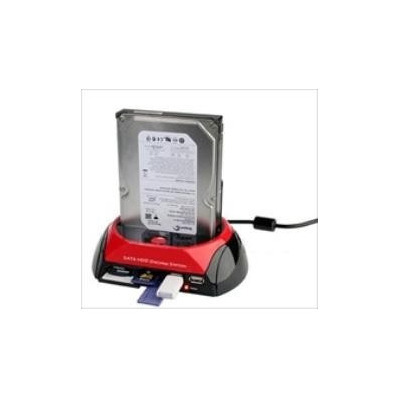 Support all 2.5"or 3.5" IDE/ SATA Hard Disk Drive of any capacity. - (3) SD/CF/MD / XD slot. 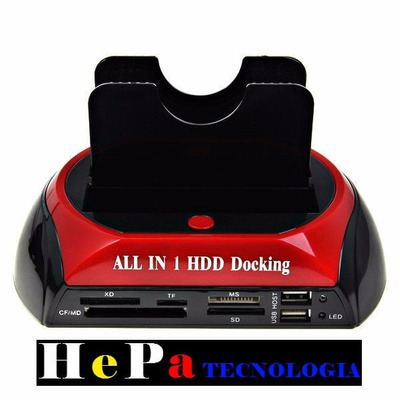 Offline support for hard disk cloning/copy, when it do not connect the computer hard disk can be realized as clone/copy. Support Window98/98SE/ ME / 2000 / XP / Vista / Win 7/ MAX operation system 9.X/10.X / Linux.